We have carved a niche as one of the major Safety Valve Manufacturer in India. Our Boiler Safety Valves are precisely designed to control excess pressure in various equipments like pipelines, pressure vessels and reactors. Automatic opening as well as closing of our safety valves assures complete protection of the equipments. 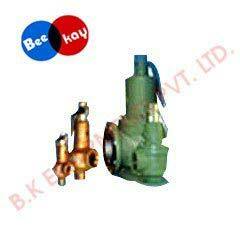 Today, our company is well reckoned as one of the leading Safety Valves Exporters. Provides complete protection to the capital equipment.